Congratulations to ERG PhD student Laura Moreno (MS ’15) for being one of the receivers of the Global Food Initiative 30 Under 30 Awards! 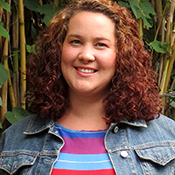 Laura is focused on the research and action in food waste tracking, prevention and disposal. Read more about ERGie Laura Moreno (MS’15) here. Read “30 under 30” Award recipients article here.